I have no real issues with Vegetarians. It is a lifestyle choice and when someone tells me they are a vegetarian I never try to talk them out of it. I have noticed trends with many vegetarians in terms of what they eat and there are several health issues that can pop up. This post is focused on preventing those problems from showing up. After all many who choose this lifestyle want to be healthy. It would be a real shame to make mistakes that lead to anything other than healthy vegetarians! B12 is the main problem found with strict vegetarian/vegan diets. This is really only found in enough quantity in meats. It is also vital for brain and nerve function. Damage from not having enough in your diet can be irreversible! Therefore an alternative source should be taken by all vegetarians. There is much literature out there on the web making statements that you can get enough from vegetables and not to worry. Please don’t be pulled in by this. There is no good research for these statements and blood tests prove otherwise. As supplements go the best I have found is methylcoboalamin. This is B12 with a methyl group attached that your brain can then use to transport neurochemicals around… double the good stuff! you can supplement with cod liver oil or other Omega 3 supplement. Often the bad looking skin seen on vegetarians is usually a combination of low omega 3 fats, and thyroid problems. A good source of the precursors to Omega 3 is Flaxseed Oil. You will want about 2 Tbl for an adult, 1 for a child. Soy foods are often consumed in larger quantities by vegetarians. This can slow down the thyroid and clog up the liver. Supplementation of iodine or consuming large quantities of iodine rich foods is suggested as is taking in lots of green leafy vegetables to help with liver detoxification. Selenium is also needed for good thyroid function and may not be found in large enough quantities if the right foods are not consumed. This is found in Brazil nuts. You don’t have to go crazy there. A handful a day is fine. Sun exposure isn't all bad. Turns out without enough you're in trouble! Vitamin D can be produced by exposure to the skin or supplementation will be needed. this is especially vital for those who don’t get any from other sources in their diet. The other major concern for vegetarians is getting enough protein. This is where most lack as it is just easier to eat carbs. Remember that you will have problems with both strength and eventually heart problems if you don’t consume enough proteins. 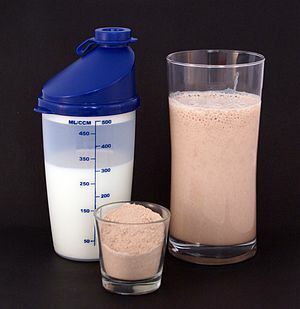 A lot of initial signs of protein depravation only come on in extreme cases so you need to pay attention to this area even if you feel ok.
Look for a protein shake that is sweetened with Stevia or dextrose, not sucralose, fructose, Splenda or aspartame. Hemp is an excellent source of protein though it can be harder to find. Make a smoothy or two every day from your shake to make sure that you are getting plenty of protein. 60-80 grams is a good average, but you may need more or less depending on your size and level of exercise. Between a couple of shakes and the nuts and seeds in your diet you should be able to get enough protein in every day to protect muscle mass and energy.